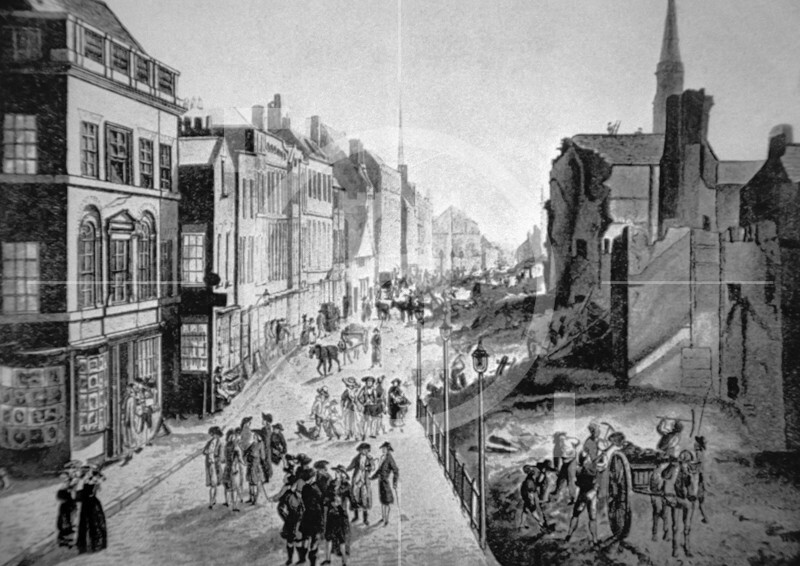 Widening in progress in Castle Street, 1786. Looking south from the Town Hall. Under powers obtained under the first Improvement Act of 1785, Castle Street was laid out and Dale Street widened as far as Moorfields. Within a few years, under a subsequent Act, Castle Street, part of Dale Street, Water Street and the streets around St George's Church which were crowded and close, were opened out and widened.